Do you want your property to radiate a clean and attractive first impression? 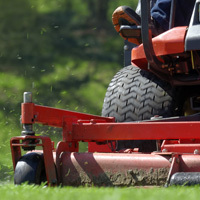 Our team is professionally trained to give you those crisp edges, straight cuts, and hardscapes blown free of debris for a consistently manicured appearance. SYSTEMATIC EMPLOYEE SELECTION AND TRAINING - Qualified employees are the foundation of consistent service. Our aggressive personnel program finds and systematically trains them to assure our high standards. TECHNICAL EXPERTISE - ​State-of-the-art equipment, supplies, and technical expertise are necessary for consistent quality. We understand the requirements for optimal cultivation and turf management. Our services include the management of appropriate irrigation, fertilization, cut length, remediation of undesirable weeds, and pre-emergent weed control – we catch them before they can be seen. QUALITY ASSURANCE - Prompt communication is key to consistent satisfaction. At Environment Control, we are committed to getting back to you in minutes rather than days. We regularly verify the quality of our work. This reporting is shared with you and is archived for our records. We take the initiative to visit our clients during office hours to discuss your needs. We invite our clients (on a voluntary basis) to rate the quality of service. This becomes a part of our employee and management evaluations. We record and review each of the above categories with both management and technician to ensure consistent service excellence.